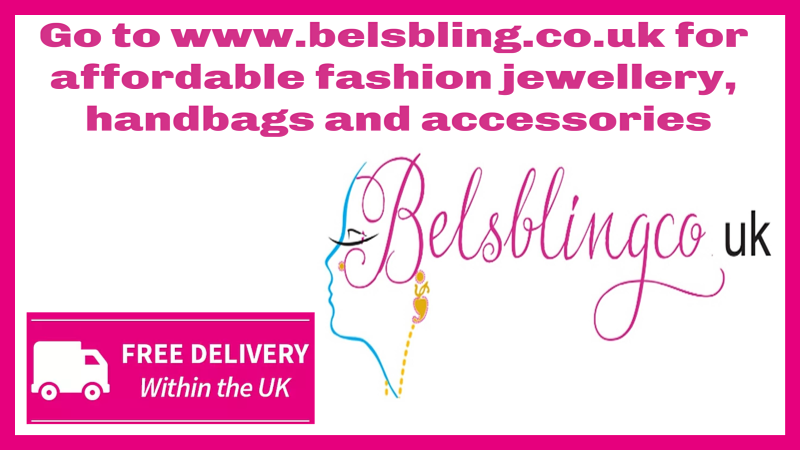 Belinda at belindashandbagsandaccessories.co.uk said she would like to send me a couple of things to review on my blog and I happily accepted her kind offer. 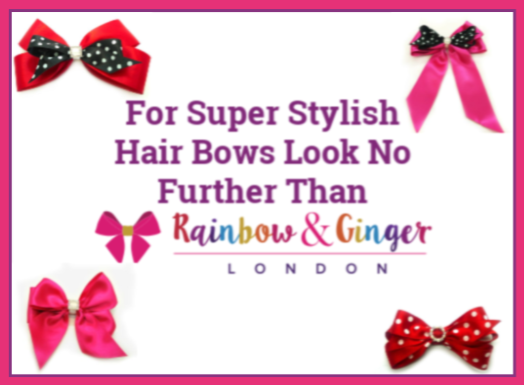 I have reviewed her fashion jewellery quite a few times in the past so I knew to expect pretty items! I didn’t want to know what she was sending me as then it would be a nice surprise to arrive in the post. The day the parcel arrived my daughter picked it up from the doormat and I said she could open it up to see what Belinda had sent us. She ripped open the packet to find a purple organza drawstring bag and in it was 2 pairs of pretty jewelled clip on earrings! My daughter doesn’t have her ears pierced so she loves clip on earrings but sometimes they can be hard to find in the shops….especially dangle earrings. She was over the moon to realise that she now had 2 more pairs for her collection courtesy of Belinda. One pair were vintage style burnished gold clip on drop earrings featuring 2 brown faceted teardrop jewels and decorative edging. 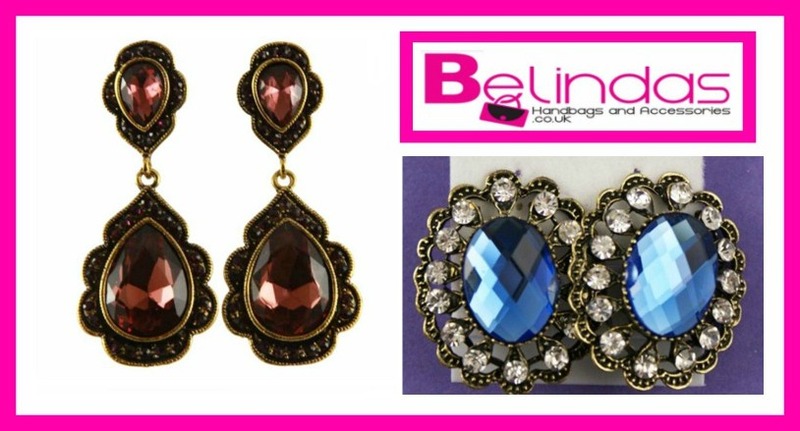 They cost £4.99 and you can order them here >> https://www.belindashandbagsandaccessories.co.uk/ourshop/prod_6443841-Vintage-Style-Burnished-Gold-Clip-on-Earrings.html. These earrings look so beautiful on my daughter and they will have pride of place in her jewellery box. Both pairs of vintage style earrings are great examples of fashion jewellery. They don’t cost the earth but they look like they do! My daughter is so happy to now have these in her clip on earring collection. Thank you Belinda! If you are looking to buy yourself, or someone else, some new earrings then you are sure to find what you are looking for on Belinda’s website. Click here to view the full range of earrings. 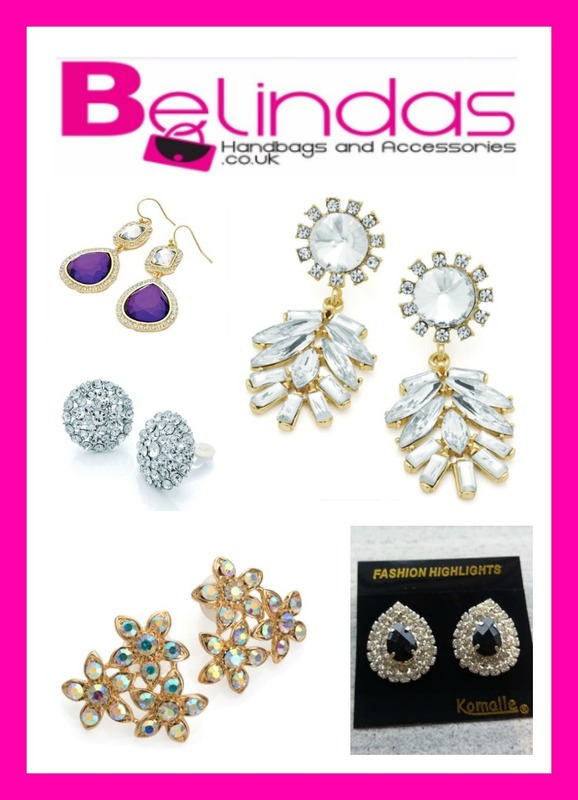 This photo collage below shows a small selection of earrings which are available at Belinda’s Handbags And Accessories. Some of them are clips ons and some are for pierced ears. Thanks for reading my review. Before you go please take a moment to follow Belinda on social media. You can find her on Twitter , Instagram and Facebook. 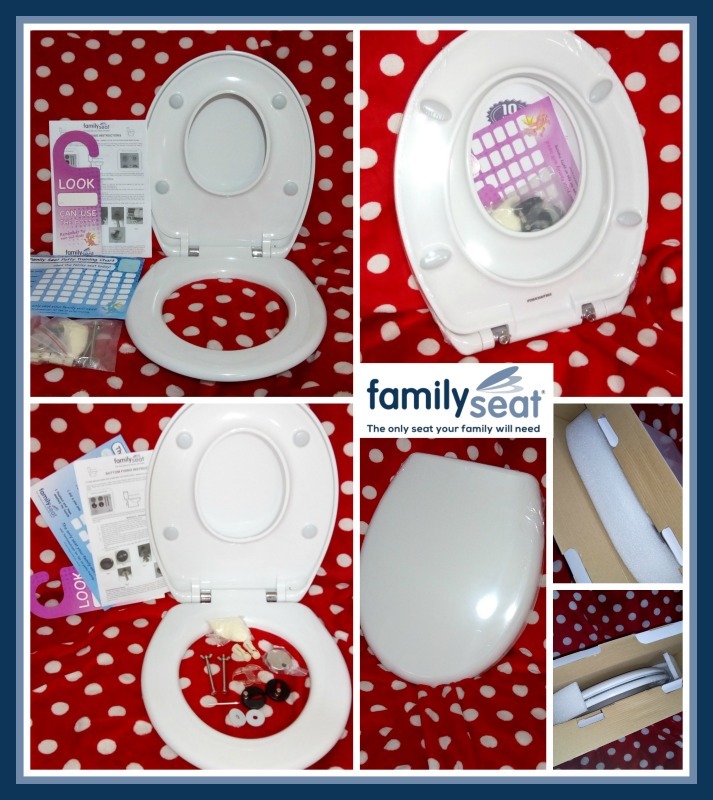 This entry was posted in Review on July 12, 2018 by admin.